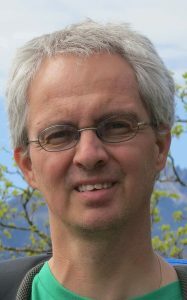 At its General Assembly in November 2015, the Swiss Society for Meteorology (SGM) elected Michael Sprenger as new president for a term of four years. He suceeds Saskia Willemse (MeteoSwiss). Michael Sprenger did his PhD in atmospheric dynamics at ETH Zurich, where he is now working as a senior scientist. His main interest is in atmospheric transport modeling, mountain meteorology and synoptic climatology. He works together with the Swiss national weather service (MeteoSwiss), is member of the ICAM (International Conference on Alpine Meteorology) steering committee and has been active in the executive board of the Swiss Meteorological Society (SGM) since 5 years. Michael says: “The major focus of the SGM in the coming years will be twofold: First, we would like to enthuse young researchers for the SGM activities, and second we would like to build on our good contacts to other societies. Further, we are particularly happy to celebrate this year 100 years since the founding of the SGM. 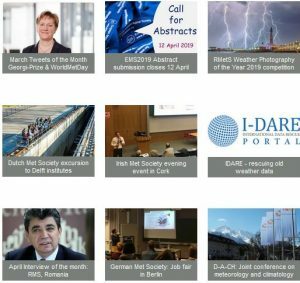 To this aim, a special e-book will be published and will be be freely available online: ‘From Weather Observations to Atmospheric and Climate Sciences in Switzerland – Celebrating 100 years of the Swiss Society for Meteorology'”. Previous World Meteorological Day: Open doors at the Cavanis historical meteorological site Next Roibu Grigore wins first prize of Europhotometeo’16 with his photo "Clouds coming"